Formerly the American Leaf Tobacco Company (a United States importer of tobacco who sold to other tobacco companies), the Topps Company was created in 1938 when World War I impeded the import of tobacco into the United States from Turkey. This required the American Leaf Tobacco Co. to find a new product to build their company around. The new product would be chewing gum. Remember Bazooka bubble gum? Yeah, that's them. "Topps" was chosen as the company name to imply that they were at 'the top of their game'. 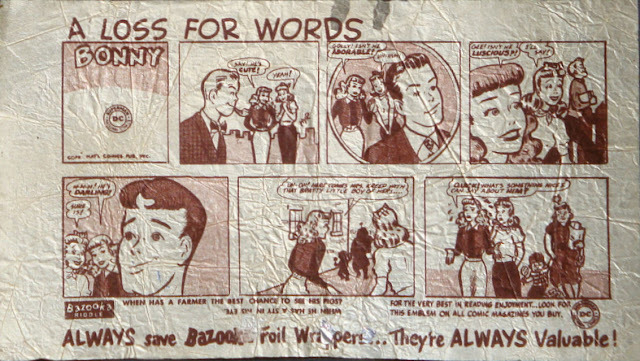 I'm not too familiar with how lucratively chewing gum was selling throughout the late 30s and 1940s [I imagine the Wrigley Company and the Fleer Corporation presented fierce competition], but in the late '40s Topps started printing comics strips on the reverse side of its gum wrappers with the intent of getting an edge over the competition. 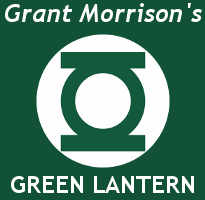 (Coincidentally, these comic strips were reprints from DC and Fawcett Comics.) Do you like Bazooka Joe comics? You're in luck -- there's a book about them. The late '40s also saw Topps package temporary tattoos with their gum, in an aptly named product called 'Tattoo Bubble Gum'. Other cool gimmicks from the late '40s included Flip-O-Vision (essentially a flip book that would show a scene from a film), Magic Photo (cards came out blank and you had to add a developing agent to see the image), Funny Foldees (a little booklet you can re-fold to make funny pictures) and X-Ray Roundups (an x-ray insert would reveal hidden image underneath original image). The first non-sports trading cards to be packaged with Topps gum would've been the 1949 Flags of All Nations & Soldiers of the World set. I'm presuming this was successful, because Topps released Hopalong Cassidy cards (packaged with gum) in 1950. Since this is a site focused on eighties nostalgia, I'm not going to go into full detail about all of the non-sports trading card sets Topps produced from 1950 to 1970 (because there were quite a few) -- but some of the stand-outs you'd probably recognize include 1962's Mars Attacks, 1964's Beatles, 1967's Wacky Packages, and 1969's Planet of the Apes trading card sets. For a DC Comics fan, the collections you'd probably care about are 1966's Batman and Superman trading card sets, Superman in the Jungle trading card 'test' set, and Comic Book Foldees 'trading card' set. 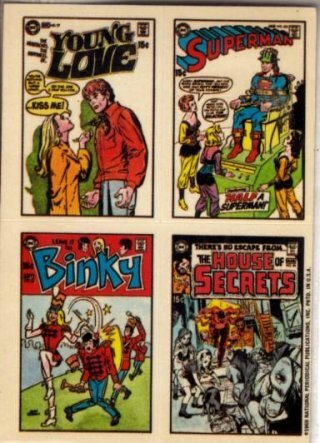 Topps also produced a Comic Covers sticker set (featuring covers of popular DC comics) in 1970. 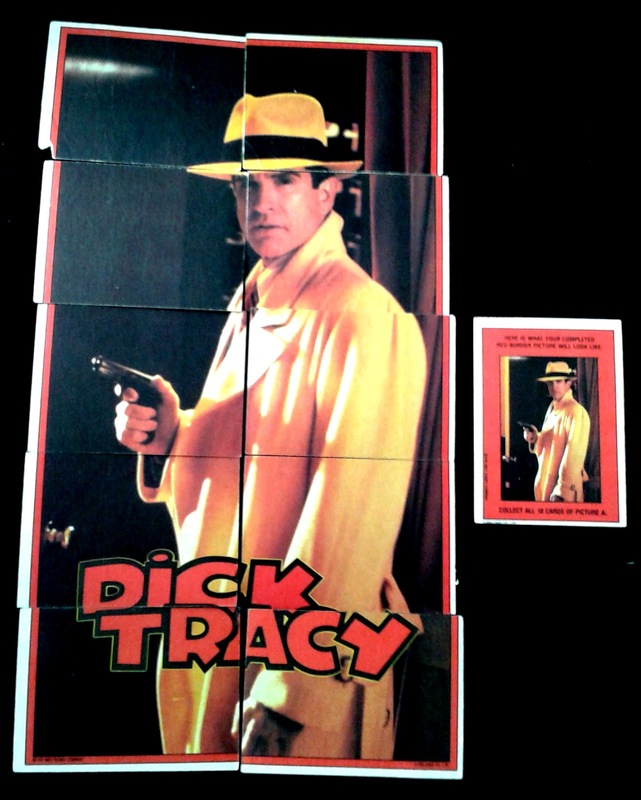 The 1970s saw an explosion of TV, film and other pop culture properties covered by Topps. If Topps thought there was a market for it, they jumped all over it -- this is why we now have Bay City Roller trading cards in circulation out there somewhere. 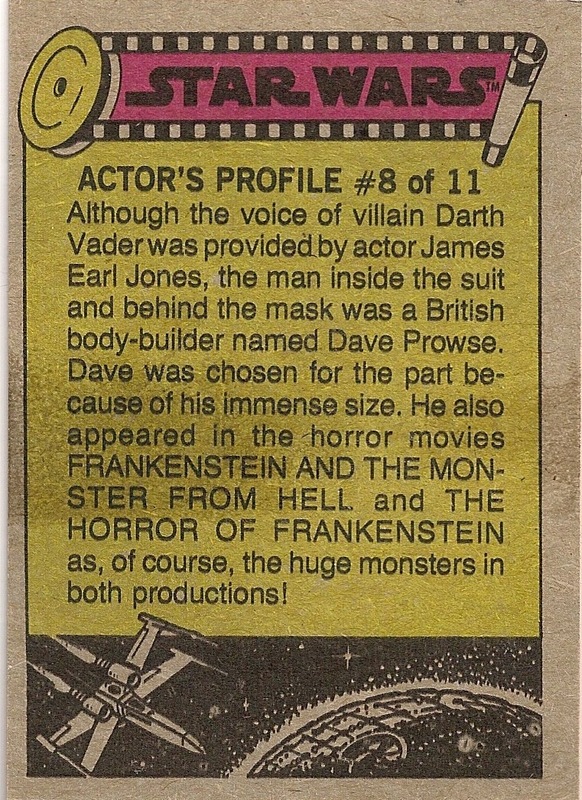 Topps didn't just exclusively cover DC Comics characters, but Marvel Comics characters as well [i.e. 1975's Comic Book Heroes Stickers, 1976's Marvel Super Heroes Stickers, 1978 & 1979's Marvel Comics, 1979 Incredible Hulk trading card sets]. One of the most popular Topps non-sports trading card sets to come out of the '70s was the 1977 Star Wars Series 1 - 5 trading card sets, that -- when all cards were combined -- amounted to a whopping 330 trading cards and 55 stickers. This set is so sought after by collectors that Topps has released a reprint collection of the cards in a hardcover book (complete with behind-the-scenes info and completed puzzles). 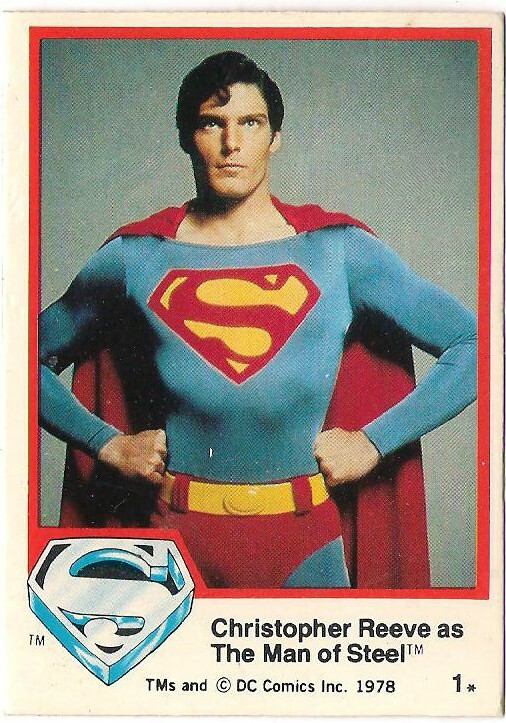 Unfortunately, neither of the 1980s Swamp Thing films, 1987's fourth Superman film, the 1975 Wonder Woman or 1988 Superboy live-action TV shows received the trading card treatment from Topps. How cool would a Swamp Thing movie trading card set have been? As previously mentioned, Topps released tons of non-sports trading card sets throughout the seventies and eighties. 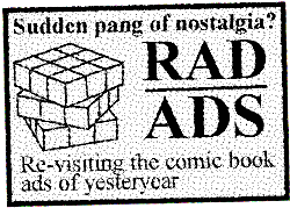 They especially thrived during the eighties and it seemed like you couldn't go near a cash register in a convenience store without seeing a display box for Topps trading cards. (The convenience store candy counter was typically located near the cash register, and the cards were usuallyon display with the candy.) Prices varied, but a pack of Topps trading cards typically cost less than 50 cents and usually contained about 10 cards, a sticker and a piece of gum. This was quite a bargain and made for an easy impulse purchase when you had some spare change in your pocket. The Topps wax wrapper with its bright primary colors and [often] poor color separations immediately stood out on the shelves and magnetically drew us in. Just looking at these wrappers gets you excited imagining the possibility of which cards you might pull. If you run your fingers along them, you can feel the waxy composition of the pack. Why were they wax and not some other sort of paper? I really have no clue. Possibly something to do with the stick of gum in the pack? Maybe it was the cheapest wrapping paper they could get away with? At one point they used to be cello packs. In the grand scheme of things, it didn't really matter. The packages were truly pop art themselves, Branded in the 80s has a really nice gallery of wax paper packs (including a few fan-made ones) on its site. Stickers were more or less the chase cards of the set. With a guarantee of 1 sticker per pack, you really couldn't go wrong here. The sticker came on a trading card and could be peeled off and stuck somewhere. 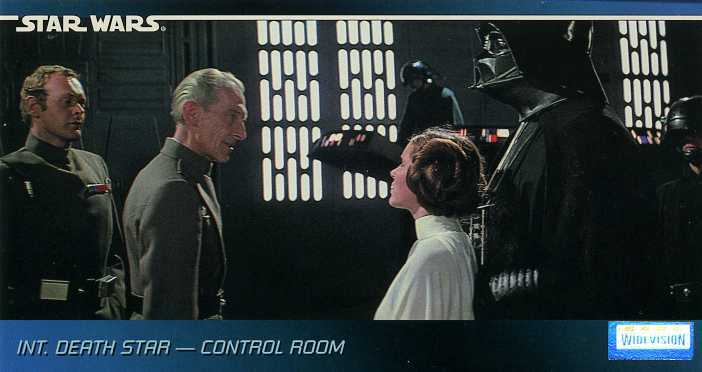 The back of the trading card was usually a puzzle piece, so it still had some value once that precious sticker had been peeled off. Due to the fact that a lot of kids couldn't resist the temptation of sticking these stickers to things, finding a complete Topps set with sticker cards intact is going to be a bit more costly. 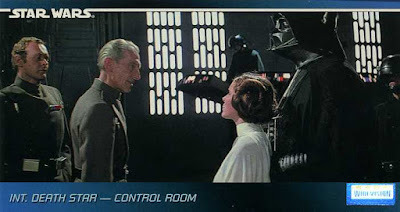 If it was a trading card set based on a film or TV property, it was about 99% guaranteed that the 'card art' would be direct photographs from the movie or show. This isn't as bad as it sounds -- back in the pre-internet days, screenshots of your favorite movies and TV shows weren't easily available. Unless you owned the film on VHS, you were probably relying on your memory or an official 'movie magazine' when recalling your favorite scenes. These cards immortalized some of your favorite moments. Some sets even included behind-the-scenes photos. Compared to the Impel/SkyBox trading cards we'd be treated to in the early nineties, the Topps non-sports trading cards from the eighties felt cheap. The front of the card was a little glossy/slick, but the reverse felt like it was printed on pure pulp paper. The exception to this, of course, would be the Wacky Packages and Garbage Pail Kids card sets that were so popular in this era [see below]. Knowing what I know about Topps, this was probably the cheapest card stock they could afford to get away with. To note, a big issue with the Topps trading cards of the seventies and eighties is the poor quality control of the final product -- print defects, poor centering, smudges, corner defects and, in some cases, select cards will have gum stains on the back of them. Admittedly, there were a few duds (i.e. 1983's Menudo set, 1984's Baby set, 1987's Harry and the Hendersons set), but Topps covered just about everything worth covering and they still have retro collecting appeal to this day. 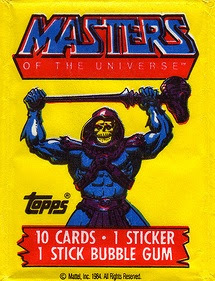 Masters of the Universe, Nightmare on Elm Street, Rambo, Rocky, Robocop, A-Team, ALF, Back to the Future, Goonies, Indiana Jones, the Simpsons, Teenage Mutant Ninja Turtles, Nintendo, ... if it was big in the eighties or early nineties, Topps probably produced at least one card set about it. If you lived north of the border (like me) in Canada, you couldn't get your hands on any Topps trading cards at your local convenience store. Instead, we had O-Pee-Chee brand trading cards -- which were essentially Topps' Canadian counterpart. O-Pee-Chee gave a fairly good representation of the Topps card sets except for the fact that the sticker cards had been replaced with regular cards -- I had only discovered this several years ago and was pretty sour to learn that I had been cheated out of 1989 Batman movie stickers in my youth. 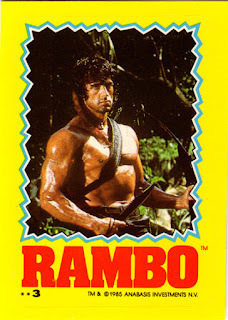 Wacky Packages trading cards had mass collectible appeal in the 1980s and were probably the catalyst that sparked my lifelong obsession (so far) with the acquisition of non-sports trading cards. 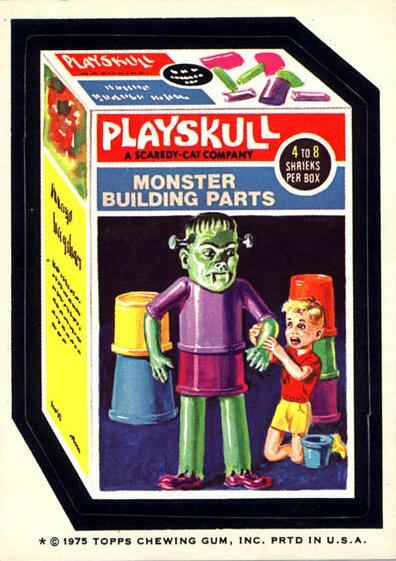 Wacky Packages had that 'perfect storm' of enticement for the youth of America -- they parodied popular household products (which gave them a counter-cultural feel), they were bright and colorful, and every single card was also a sticker. My ENTIRE elementary school went into a frenzy collecting these, and, for at least a year, it was on par with the Pokemon card collecting craze of the early 2000s (minus the stabbings). 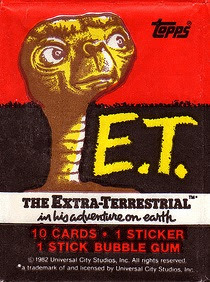 Wacky Packages are arguably Topps' most successful non-sports product and are still being produced by the company to this day. I still love everything about Wacky Packages. 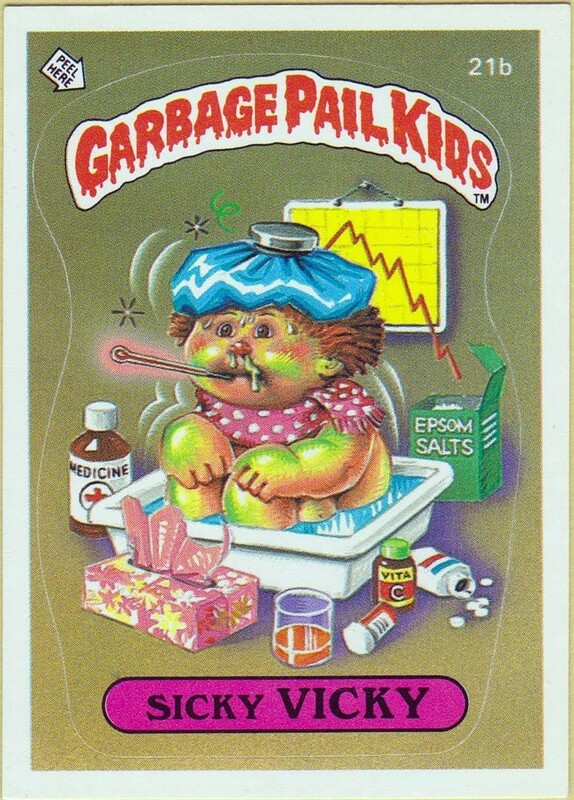 Garbage Pail Kids, a trading card parody of the popular 1982 Cabbage Patch Doll toys, were also a pretty hot commodity among kids in the eighties. The grotesque artwork on the cards pretty much ensured that they were banned from every conservative household in America (especially mine), which probably drove up the desirability of the cards. I was a pretty squeamish kid and found them too appalling -- so I skipped on these. One thing I will comment on is that the adhesive on these stickers were pretty strong as a friend stuck one to his parents' wooden coffee table and they had the hardest time removing it afterwards. 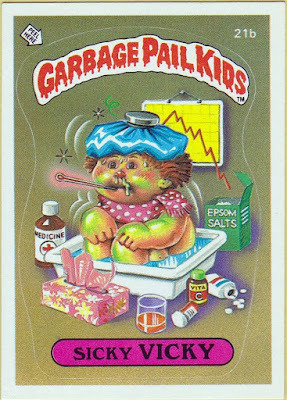 There's been a bit of a Garbage Pail Kids resurgence as of late, and Topps still produces new Garbage Pail Kids stickers. Twenty five years later and I still find these to be in bad taste. Whatever floats your boat, I guess. The day of 'cheap non-sports trading cards in a wax wrapper' quickly died in the early 1990s when other companies started getting in on the act with nicer, glossier cards. Impel -- with its 12-cards-per-pack Marvel Universe Series I set -- was a bit more expensive and did not include a sticker or gum, but you could immediately see the quality of the product. Impel was also distributing its cards anywhere comic books were sold (not just limiting themselves to comic books shops), so this would've been direct competition with Topps, as they didn't have the monopoly over the 'convenience store market' anymore. 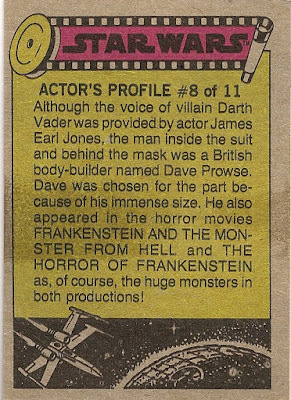 Comic Images was also selling non-sports trading cards (mainly based on Marvel Comics properties) in the late '80s and early '90s, but they seemed to be exclusively sold in comic book shops, so the average kid who bought his comics from 7-Eleven wouldn't have been aware of them. It didn't take long for Topps to 'up their game' once the competition was out there. Topps stopped including gum with their cards sometime in the early '90s and switched over to high quality, glossier cards. (A few 'throwback sets' were produced to emulate the Topps non-sports cards of the '70s and '80s.) 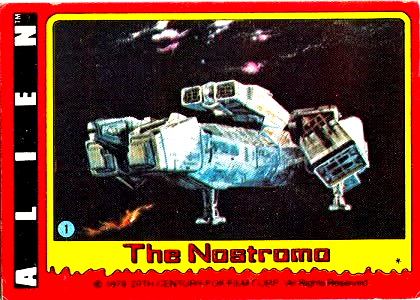 To Topps' credit, they've always retained the Star Wars license, and have been the sole producer of Star Wars trading cards (in North America, anyways). There's a bit more to the Topps story that I won't delve into (namely the creation of Topps Comics in 1992 and a Topps company shareholder dispute in 2006/2007), but now you mostly know everything I know about the history of Topps non-sports trading cards. What is the impetus for tracking down/purchasing/collecting these cards? Nostalgia, mainly. 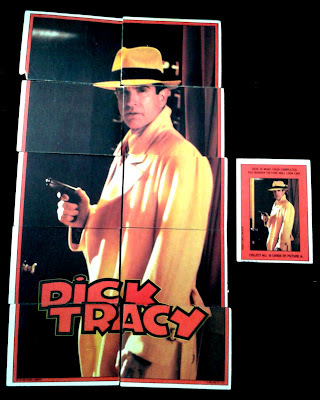 While they weren't the flashiest trading cards, they do bring back a lot of warm, happy memories of simpler times -- like before ultra-rare hologram chase cards were introduced or when a set was considered completed when you finished that puzzle or collected all of your favorite scenes from the film. I still remember when my generous (but misguided) uncle surprised me with a pack of Topps' Voltron Defender of the Universe tattoos and, try as we might, just couldn't get the damned things to stick to my skin. I'm not the only one who still has a fondness for '80s Topps cards, check out this fan-made creation of an imaginary Topps Superman IV trading card set. Surprisingly, for trading card sets that are thirty or more years old, most of these sets can be purchased as a full set for a reasonable price (less than $30 USD) and some dealers will even throw in an original wax wrapper, too. One word of caution: some dealers will sell the sticker set separately from the full set -- so ask before purchasing if you care about that sort of thing. If you're a savvy shopper, you may even be able to find an unopened box of cards for less than $70 USD. For reasons I don't question, some collectors insist on only picking up a specific print edition of a card (either '*' or '**') for their collections. This is where it could get pricier to collect these cards. There isn't any real noticeable difference between the print editions, and I think the only people who really care are die-hard collectors. The Topps Archives provides a really good resource on older Topps (sports AND non-sports) trading cards from 1939 to the present day. It's a well-curated site with lots of useful information. Check out their "Field Guide to Dating Topps Wrappers" article which gives a pretty thorough guide on what to look for. Ryan Cracknell (writer for Beckett Media) is probably the current leading authority on non-sports cards from the '80s and '90s. Whether you're reading one of his Beckett articles, an article he wrote for The Cardboard Connection or an article he wrote on his own site, Trader Crack's, you really can't go wrong with Ryan. The Pack a Day blog covers a random assortment of sports and non-sports trading cards. It's a nice assortment of retro trading card coverage. The A Pack To Be Named Later blog is a collective of trading card enthusiasts who collect and examine just about every trading card pack they can get their hands on. So far, all of the other trading card blogs I've viewed discuss a card set in detail, while A Pack To Be Named Later actually captures the rush of opening a pack for the first time and examining it's contents. This blog truly is a treasure to mankind. 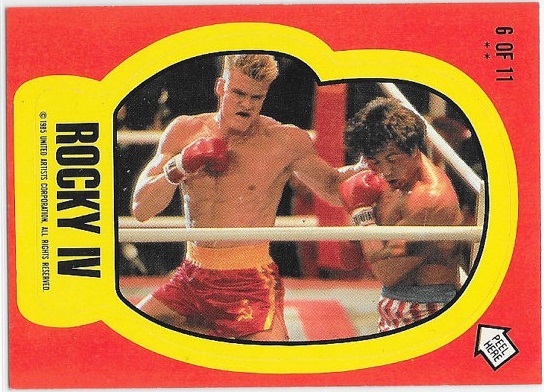 Shawn Robare of Branded in the Eighties is still keeping the dream of the 80s alive with his fan-made Topps non-sports trading card sets for films such as Adventures in Babysitting, Young Guns II and The Lost Boys. The Retro Trading Card twitter account posts images of retro Topps trading cards on an (almost) daily basis.